Ani Choying Drolma talks to Lilly Greenblatt about the journey that brought her to international fame, and the real meaning behind her music. 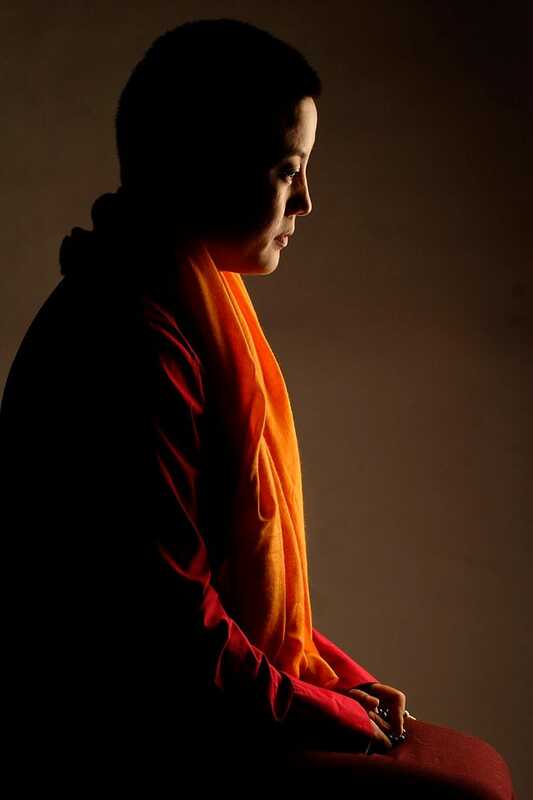 Ani Choying Drolma is known as Nepal’s “rock star Buddhist nun,” but her music isn’t meant to simply entertain or get your head banging. “Melody has its own inherent ability to soothe a very disturbed mind,” she says. Drolma, born Dolma Tsekyid, was born in Nepal in 1971 to Tibetan refugee parents. After years of witnessing her father’s physical abuse to her mother, and experiencing it herself, a 10-year-old Drolma decided she would become a nun as a means to escape the inevitability of marriage. At the age of 13 she was accepted into the Nagi Gompa nunnery on the northern slope of the Kathmandu valley. It is here where she met her teacher Tulku Urgyen Rinpoche, who she says gave her a positive attitude toward life and helped her realize a deep sense of purpose. In all Drolma has done with her life since meeting him, she says she has never separated herself from the values he instilled in her. Two men changed my life. One is my father, and the other is my teacher. To both I am deeply, equally grateful. Before entering the nunnery, Drolma says she was an “angry and unhappy child.” However, despite the suffering her father put her through, Drolma notes that without her father’s abuse, she would never have escaped to the nunnery and gone on to become who she is today. Guitarist Steve Tibbetts discovered Drolma’s musical talents while visiting the nunnery on retreat with his wife. Tibbetts recorded the twenty-two-year-old’s singing and brought it back to the United States where he overlaid her hymns with a guitar track. Recognizing the potential, Tibbets sent the recording back to Nepal, and proposed that Drolma record an album. That album, Cho, was released in 1997. Today, Drolma has twelve albums to her name, and spends much of her year traveling to perform all around the world. What excites me is what I’m able to do for people who are really in need of help. Though some have criticized Drolma for her financial success as a nun, proceeds from Drolma’s performances all go directly to her charitable works, including her project, The Nun’s Welfare Foundation (NWF). “I don’t need to buy a palace, a Rolls Royce, an airplane, or branded clothing. None of that excites me at all. What excites me is what I’m able to do for people who are really in need of help,” she says. In 2000, NWF founded the Arya Tara School, a free boarding school providing secular education alongside modern studies for nuns. Today, it has about 85 students, aged 5 to 18. The nuns are able to study Buddhism while also learning subjects such as science, mathematics, and social sciences, and are able to go on to college degrees — a revolutionary development for nuns in Nepal’s society. Ani Choying Drolma. Photo courtesy The Ani Foundation. Drolma’s own life is inspiration to the nuns at her school that they, too, can combine their role as a nun with modern careers. When Drolma first began making music, she was largely criticized for being a woman, and particularly a nun, making a name for herself and having independence in a patriarchal Nepali society. Seeing a nun “in the limelight,” says Drolma, was quite a shock for some, including fellow monastics. Today, Drolma says people are more accepting of her career, which she believes reflects a positive change in the society. Drolma’s charitable works don’t stop at her school. Drolma also serves as Nepal’s first UNICEF national ambassador. In 2010, the NWF founded the Aarogya Foundation, which provides medical aid to those with kidney problems in Nepal. Drolma lost her own mother to kidney disease, and at the time, the nearest place to receive a kidney transplant was in India, where Drolma took her mother twice to no avail. “I promised my mom that I would do whatever I could do within my capacity to help these people,” says Drolma. Since its creation, the Aarogya Foundation has convinced the government to provide free dialysis and kidney transplant services to the less fortunate people of Nepal. Music is a language that we all can understand regardless of language, place, age. “I don’t get carried away with it. I just smile on it, laugh about it. That’s how people try to validate my existence. We human beings always like to label things. I haven’t labeled anything to myself. I am who I am, and I’m comfortable being myself,” she says. In April, Drolma embarked on a worldwide tour, which will take her to China, Germany, Singapore, Tibet, and Taiwan. She’ll also be visiting the USA, where she will perform in Los Angeles for BuddhaFestLA on June 3. “Music is a language that we all can understand regardless of language, place, age,” she says.